A man from Wick has denied defrauding a leading transport manufacturer in the region £800,000. Andrew Saunders, 52, of Benjamin Gray Drive in Wick, pleaded not guilty to defrauding Bombardier Transport UK. 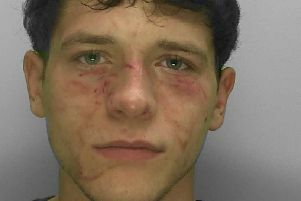 He appeared for a hearing at Lewes Crown court this morning. He is charged wtih obtaining the money by manipulating an accounting system between August 28, 2008 and April 30, 2013, the court heard. Saunders is accused of defruading Bombardier Transport UK of money in the region of £800,000, according to the Crown Prosectution Service, who could not be sure of the exact figure due to the nature of the case. Bombardier Transport UK are a leading manufacturer of planes and trains. Saunders is due to stand trial on October 2, 2017.